I am very interested on Delhi photography because i have seen New Delhi. I usually visit your this blog to see new thing. I have one comment on your photography, you should keep in your mind that in photography framming also a vital. In most of photography you have ignored framming but not in this "My Fair Lady". It is equally odd and sad that in light skinned countries to have brown skin is desirable and in darker skinned countries the opposite is true! 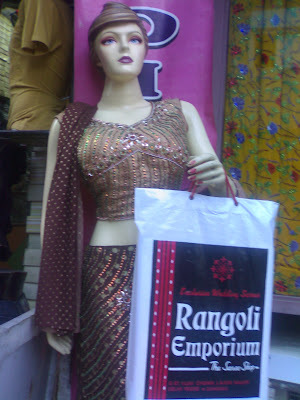 But we never look as good in a sari. Your pictures are totally fine to me. I have no photographic pretension and have no clue what I am doing. And the more you do, the more you learn. I am sure there are rules in terms of exposition, light, framing, ... Maybe one day I will learn them. But, aren't rules meant to be broken?